One of the most satisfying records in the “underground country” vein so far this year isn’t even from this country. 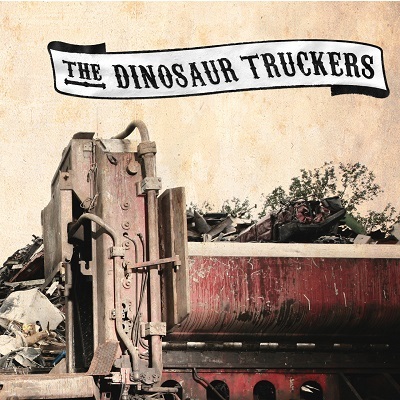 I’m talking about the self-titled album by The Dinosaur Truckers, a (mostly) acoustic quartet from Germany. A Teutonic melding of Dinosaur Jr. and The Drive-by Truckers? Nope. These guys don’t sound much like either of those bands. 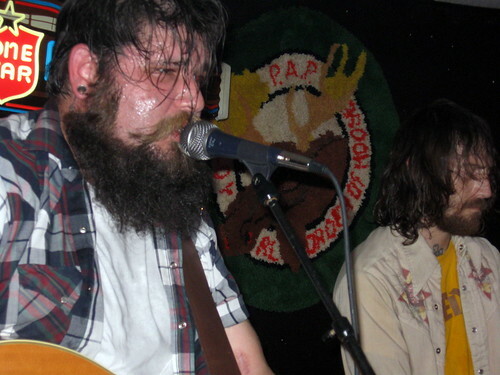 They’re closer to the newer breed of country rock represented by groups like The Goddamn Gallows, Honky Tonk Hustlas, and The Calamity Cubes. Starting out just a few years ago as Pistol Pete & The Dinosaur Truckers (I don’t know what happened to Pistol Pete), this group is a banjo-and-stand-up-bass-centered band with strong affinity for bluegrass, although — simmer down, purists — it isn’t a bluegrass band. That one starts out with a burst of electric-guitar feedback, and then comes a primitive, heavy-foot brontosaurus waltz with a slow, ominous “la la la” chorus before breaking into galloping bluegrass mode. You might think that the moody “Box of Memories” is a long-lost Townes Van Zandt song. It’s one of the slower songs here with a slide guitar that sounds downright ghostly. “Shadow Fallin’ Down My Face” might remind you of something by Calexico thanks to the mariachi trumpets that seem to come out of nowhere. I hope that music this soulful never becomes extinct, no matter where it come from. 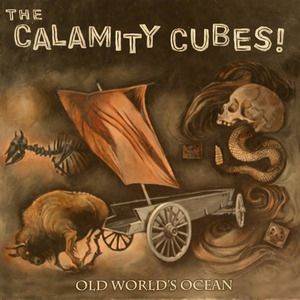 * Old World’s Ocean by The Calamity Cubes I’ve had this album in my possession for more a performance at the Moose Lodge in Austin during the 2012 South by Southwest weekend (a show that the website Saving Country Music rated one of the top live performances of last year). 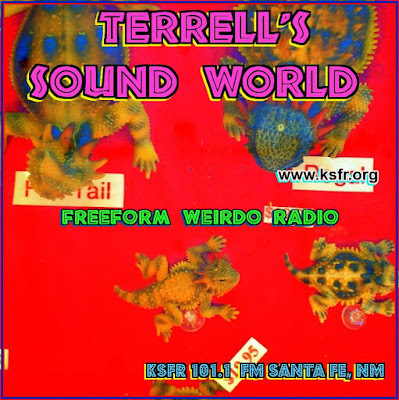 Earlier this year, Farmageddon Records finally released the album. The Cubes are an acoustic trio from Wichita, Kansas — banjo, guitar, and stand-up bass. They draw from bluegrass, folk, gospel, country, and rock. And two of the three members — banjoist Joey Henry and guitarist Brooke Blanche — are strong songwriters. On Old World’s Ocean all of the songs are good, but two of them — “Empty Bottle” and “Same God” — are outstanding. Both are slow, sad ballads written and sung by the gravel-voiced Blanche, a man-mountain of a dude who looks like a meaner version of the old wrestler Hillbilly Jim, but, judging by his lyrics, has a soul as deep and ancient as Leonard Cohen’s. By the next verse Blanche is singing about a possibly troubled relationship with “this rowdy woman” whom he vows to keep because “this life is a struggle, and I need someone to hold.” A listener is left wondering whether this love affair has become as empty as the bottle the singer also vows to hang on to. The most jarring part of the song is the bridge, in which Blanche borrows from the Elephant Man, moaning, “And I’m not an animal /And I’m not a criminal/You said you’d save my soul/But it feels terrible.” With the refrain, “It’s the same God that never was,” the song could be an atheist confessional. But it sounds deeper than someone trying to make a theological point. The whole song aches with betrayal and pain, as if the singer is losing his religion as you watch him go down. These two songs are the best I’ve heard come out of the new country underground. I want to hear more.